Vancouver, BC / TheNewswire / January 17, 2018 / Global Energy Metals Corporation TSXV:GEMC | OTCQB:GBLEF | FSE:5GE1 ("Global Energy Metals", the "Company" and/or "GEMC") is pleased to announce the release of "The Entire History of Tesla in 5 Minutes" an animated video, highlighting everything you need to know about the history of Tesla, including Elon Musk's vision for the future of the iconic electric car company. 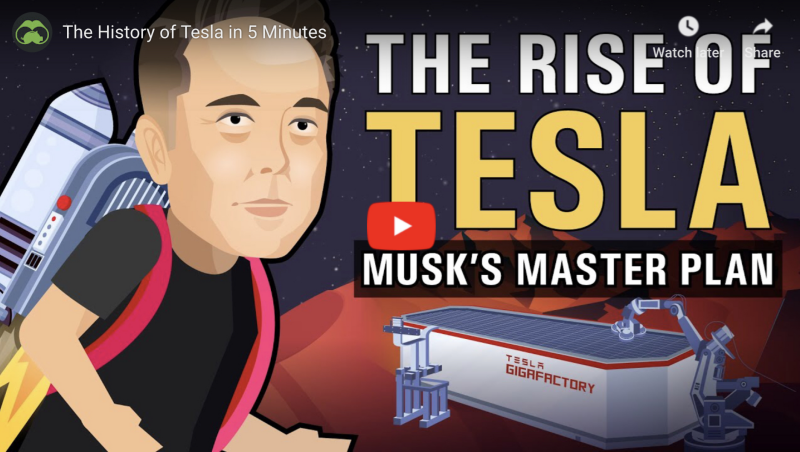 GEMC teamed up with Visual Capitalist to present an uniquely informative three-part series detailing the rise of Tesla Motors and the new energy space. The video primarily keys in on Tesla's successes and the setbacks the company has faced along the way - it also shows that Tesla was able to pass Ford in market value just seven years after the company's IPO.